The English version of Samsung Electronics’ voice-assistant service Bixby has been delayed because it needs more accumulation of data, which is key to deep learning technology, according to the company Tuesday. Bixby is Samsung’s much-touted voice assistant service unveiled with much fanfare in May. It aims to control all of the company’s digital devices and home appliances. “Developing Bixby in other languages is taking more time than we expected mainly because it needs more accumulation of data,” a source from Samsung told The Korea Herald. Big data is key to deep learning technology, which learns and evolves based on the accumulation of data. The hardware giant jumped into the big data market later than internet and tech giants Google, Amazon and Apple. "More data is need to provide quality service and contents, and to increase the number of apps compatible. The service will have enough big data soon through the beta test we launched in June in the US," he added. Another reason behind the delay is the communication between the engineers located at Samsung Research America in California and the headquarters in Korea. “Many engineers in the US are making full efforts to develop the English version. But, (due to geographical and language barriers) their frequent reports to and communication with the management located in Korea makes the progress much slower than developing the Korean version here,” said another source on the condition of anonymity. Industry watchers predicted that the English version of Bixby will be unveiled in fall at the latest. Samsung already launched the beta test for the version for some US consumers in June. 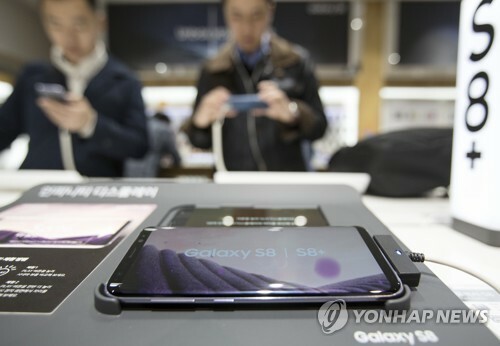 There were mixed responses among the US consumers toward the beta test due to some unsatisfactory results in terms of responding to requests and questions, Samsung said. London-based consultancy firm Ovum predicted in its May report that Bixby would grow to become the second-largest voice assistant service by 2021. Google Assistant will dominate the market with a 23.3 percent share, followed by Samsung’s Bixby (14.5 percent), Apple’s Siri (13.1 percent), Amazon’s Alexa (3.9 percent) and Microsoft’s Cortana (2.3 percent), according to Ovum. It also said the digital assistant installed base is set to exceed 7.5 billion active devices by 2021, which is more than the current world population. Samsung acquired the US startup Viv Labs -- the developer behind Apple’s Siri -- in October last year. Their AI technology has not yet been applied into Bixby. It will be used later when Bixby becomes more complete, Samsung said.